The Best Home Security blogs from thousands of top Home Security blogs in our index using search and social metrics. Data will be refreshed once a week. 2.31 Fire Monitoring of Canada Inc.
2.84 Ernie’s Lock Company, Inc.
Home Security newsletter is a comprehensive summary of the day's most important blog posts and news articles from the best Home Security websites on the web, and delivered to your email inbox each morning. To subscribe, simply provide us with your email address. USA About Blog SafeWise provides honest reviews for alarm system companies like ADT, Vivint, Frontpoint, Simplisafe and more. While striving to provide the best in home security and safety resources, SafeWise delivers current, and relevant content to aid users in creating a safer, more secure home. Facebook fans 13,437. Twitter followers 1,421. Washington D.C. About Blog Get the latest news and information on smart home security, connected devices, home automation and more from Alarm.com. Alarm.com is the leading platform solution for the connected home and business. Millions of people depend on Alarm.com's technology to monitor and control their property from anywhere. Facebook fans 107,349. Twitter followers 17,763. USA & Canada About Blog From home automation to life safety, Protect America's blog provides the latest information in security and technology for your home. Protect America provides home security systems, solutions and products to help protect your house and family. With over 20 years in the business, and being one of the largest home security companies in the nation. Facebook fans 11,367. Twitter followers 3,054. Atlanta, Georgia About Blog The Home Security Superstore offers a wide range of products to solve your home security and personal safety needs. We specialize in do-it-yourself home security solutions and self defense products. Facebook fans 22,095. Twitter followers 1,385. HongKong About Blog Started up in 2009, and ever since then, Reolink has been devoted to creating the finest security products for consumers and business owners. Until now, Reolink has millions of users all over the world with professional, reliable, affordable, simple and DIY security cameras systems. Facebook fans 54,577. Twitter followers 13,760. San Francisco, CA About Blog Home security can be anything from a full blown monitored service and a surveillance system to simple things like having a double cylinder deadbolt on your front door. Any aspect about home security can be discussed here: alarms, surveillance, locks, personal protection, etc. Facebook fans 1,101,458. Twitter followers 482,511. About Blog Your Local Security is your source for home safety and security information. They work hard to help keep your family safe. They provide you with tips and news about home security. We work to help keep your family safe from harm. Facebook fans 100. Twitter followers 159. Philadelphia, PA About Blog Smart home reviews, comparisons, videos, articles, and more. Facebook fans 88. Twitter followers 5. Pittsburgh, PA About Blog Guardian Protection Services is a company dedicated to life safety and monitoring of property. They provide an extensive array of security and monitoring services to more than a quarter-million residential and commercial customers. Facebook fans 7,668. Twitter followers 2,434. Tulsa, OK About Blog We are Alert 360 – the 5th largest home security installation and service provider in the nation– formerly Central Security Group/Guardian Security Systems. With our headquarters in Tulsa, a second corporate office in Irving, Texas, 15 Branch offices, and hundreds of Alert 360 Authorized Dealer partners, we service over a quarter of a million customers coast to coast. We provide superior 5 Diamond designated alarm monitoring from one of the oldest, licensed providers in the nation. Facebook fans 4,204. Twitter followers 2,893. Fort Lauderdale About Blog Alarm Grid is a home security company focused on affordable monitoring and diy home security fans. Alarm Grid is striving to change the Alarm Industry. With a focus on great customer service, well-priced alarm monitoring, and incomparable product, Alarm Grid's honest approach to business is why we think you will love working with us. Facebook fans 2,980. Twitter followers 112. Lehi, UT About Blog Zions Security Alarms specializes in sales, installation, and service for security systems for home and business. We customize an estimate to fit your needs. We are an ADT Authorized Dealer and the least expensive way to get ADT in Utah and California. Facebook fans 745. Twitter followers 268. About Blog Samsung Techwin is a leading supplier of advanced video surveillance solutions for IP-video, analog and hybrid systems. Building on the company's history of innovation, Samsung Techwin is dedicated to providing systems solutions with the highest levels of performance, reliability and cost-efficiency. Facebook fans 28,878. Twitter followers 4,214. Carlsbad, California About Blog Nortek Security & Control is a leading manufacturer and OEM supplier of intelligent access control, security, personal wellness and home automation products. Leveraging extensive design and engineering capabilities and more than 50 years of innovation, Linear supplies its technology to leading distributors, retailers, service providers and manufacturers. Facebook fans 4,288. Twitter followers 2,222. About Blog InHomeSafetyGuide.org is committed to provide free buying guidance to keep your loved ones safe: medical alert systems, home security, id theft protection. They provide unbiased reviews of the best medical alert systems, wireless home security systems, and identity theft protection solutions. About Blog LiveWatch Security protects and delights its customers with its award-winning LiveWatch Security, interactive smartphone controls and commitment to delighting every customer. LiveWatch Security has forever improved the way you can secure your family, home and belongings. Facebook fans 11,284. Twitter followers 922. Newtown Square, PA About Blog Since our inception in 2000, My Alarm Center has remained steadfast in our commitment to provide the most technologically advanced security systems and professional and courteous customer service. We are coast to coast, from Philadelphia to Seattle. Facebook fans 7,090. Twitter followers 526. Facebook fans 23,147. Twitter followers 1,808. About Blog Our company, GLC Enterprises has been in business for 13 years offering the public the finest surveillance and self protection products for home and business. We pride ourselves with the best products and the most reasonable prices. About Blog Think Protection is a different kind of home alarm company. What makes us unique makes us better. We don’t see the world of home security the same as other home alarm companies do. This blog provides news and useful information about our home security monitoring services and home security alarm systems. Facebook fans 4,087. Twitter followers n/a. Chicago, IL, US, 60657 About Blog VinTech specializes in electronic security solutions for condominiums, cooperatives, apartments, mixed-use complexes and parking facilities. VinTech provides electronic security solutions by understanding our partners’ needs, improving the quality of life, offering peace of mind, and empowering operational efficiency. Facebook fans 1,154. Twitter followers 546. About Blog Since 1946, Kwikset has offered residential door lock solutions to homeowners who seek ultimate peace of mind. Combining the newest technology with user-driven innovation, our products are engineered to provide the best-in-class security, durability and style. Facebook fans 28,390. Twitter followers 3,956. About Blog Audio-Video & Security is the Washington, D.C. area’s leading, full-service provider of audio and video solutions for residential, commercial and government clients. Using a powerful combination of today’s highly rated, most advanced technology along with innovative products. Facebook fans 17. Twitter followers 7. USA About Blog Peak Alarm Company is one of the largest full-service security companies in inter-mountain area. We specialize in Access Controls, CCTV, Burglar, Hold-up, & Fire Alarm Systems. Since its founding in 1969, PEAK remains a family-owned alarm service company and has become a national leader in the security alarm industry. Recently, SDM Magazine ranked PEAKAlarm the 59th largest company. Facebook fans 1,126. Twitter followers 2,337. About Blog PTI Security Systems is your source for access control, site security, and facility products. From concept to completion we help you design and implement a total package tailored to your facility. Depend on customized and dynamic systems to streamline operations, increase profits, and enhance the tenant experience. Facebook fans 469. Twitter followers 449. New England About Blog American Alarm has been New England's trusted integrated security and life safety system provider for over 40 years. We provide quality installation, service and monitoring for homes as well as Fortune 500 companies. Facebook fans 492. Twitter followers 590. Greater Kansas City Area About Blog A-TEC Security Systems, Inc. has been providing Kansas City security systems for businesses and homes for more than 20 years. A-TEC Security serves businesses and commercial facilities with security systems, asset protection, and alarm monitoring services. USA About Blog Camera Security Now designs, sells, and installs custom surveillance and access control systems for businesses nationwide. Facebook fans 6,340. Twitter followers 8,190. Bengaluru, India About Blog IFIHomes India are most promising startups in smart home and IOT areas we provide solutions in solar lights, IP cameras, smart lights, indoor & out door lights, sensor based lights, home automation. Their vision and desire is to educate society about the products and solutions that would help live better, smarter, greener life. Facebook fans 1,897. Twitter followers 194. 31. Fire Monitoring of Canada Inc.
St. Catharines About Blog With over 25 years of experience, Fire Monitoring of Canada Inc. (FMC) has established itself as a leader in the fire alarm monitoring industry. Although FMC specializes in the monitoring of fire alarm systems, we bring solid know how and experience to the installation, monitoring and maintenance of many other types of applications. Intrusion or security systems, water level indicators, CCTV. Facebook fans 353. Twitter followers 163. United Kingdom About Blog Keytek are the largest National Locksmith providing 24 hour services across the UK. Follow this blog and stay up to date with the latest tips and security advice to keep your home and business safe and secure. Facebook fans 282. Twitter followers 1,226. About Blog Eurotech Home and Commercial Security Systems offer integrated and bespoke security solutions for you, offering only the highest level of service. With over 35 years of experience working in the security industry the team here at Eurotech regularly share Crime Prevention tips and advice to help keep you safe. Facebook fans 384. Twitter followers 2,596. Phoenix, AZ About Blog Arizona's local leader in Home and Business Security and home automation. Family owned and operated. Titan Alarm leads the way in innovative home security that brings cutting edge, cost-savings, and peace-of-mind technology into homes and businesses through complete home security and automation. Facebook fans 513. Twitter followers 518. Charleston, SC About Blog Charleston Security Systems Offers Home and Business Security, Alarm Monitoring,and Video Surveillance Systems to Charleston, South Carolina and neighboring states. Free home and business security consultations. Facebook fans 1,634. Twitter followers 37. About Blog Home and business #security system reviews. Keeping you #safe. Security Baron is your trusted source of information, news, and product reviews for personal and business security. Facebook fans 19. Twitter followers 4. Ontario, Canada About Blog Canadian Security Professionals is a Reliance Protectron Authorized Dealer. We provide security and peace of mind for Canadian homes and businesses. Protectron is Canada’s leading home security company, protecting over 500,000 homes. Facebook fans 10,531. Twitter followers 361. Spokane, Seattle and Portland About Blog Allied Fire & Security is a third generation, family owned, regional business headquartered in Spokane, WA, with branches in Portland, OR, and Renton, WA. Allied has served Northwest home and business owners since 1948 and we firmly believe in giving back to the communities that give to us. Facebook fans 915. Twitter followers 2,252. Australia About Blog Harvey Norman Security customers can choose from a range of value for money CCTV packages and alarm solutions for their homes. Facebook fans 672. Twitter followers 17. USA About Blog Uxari is a Florida-based home automation and security specialist offering customers from coast to coast the latest in home automation and security technology. The company's business model is based on DIY security and automation services at a reduced cost. Facebook fans 5,870. Twitter followers 94. Edmonton, Alberta About Blog GPS Security Group is a Security Solution Company that provides Alberta’s only GPS Verified Security Guard and Security Systems Services. We provide a wide range of Physical and Security System Solutions at a very competitive rate across Alberta including the most remote of areas. Facebook fans 86. Twitter followers 94. United Kingdom About Blog National Home Security Month will be running during the month of October throughout the UK. National Home Security is dedicated to increasing awareness when it comes to home security, an issue which is often overlooked. During this month we will be offering tips and advice on how to keep you, your family and possessions safe. Facebook fans 5,974. Twitter followers 2,903. About Blog Founded in 1969, Security Equipment Inc. (SEi) is a full-service security company specializing in a variety of residential and commercial fire and intrusion alarm systems throughout the Midwest. In addition, SEi provides access control and closed circuit television (CCTV) as well as other integrated services. Facebook fans n/a. Twitter followers 757. Saskatoon About Blog Reed Security is an award winning local security provider that is known for their innovation, excellent value, and fantastic customer service. The owner guarantees results. Facebook fans 3,979. Twitter followers 333. Lynn, MA About Blog Wayne Alarm Systems Inc. is a full service alarm company, we sell, install, service and monitor our systems. We provide Fire Inspection Service, Card Access Systems, Video Monitoring Service, Radio and Internet systems just to name a few. Facebook fans 1,375. Twitter followers 1,102. Arizona, USA About Blog CallOrange.com is a locksmith, alarm security, and garage door repair promotion company that offers the most qualified and professional locksmith services in all of the Metro Phoenix and Tucson, Arizona area. We provide a full line of state-of-the-art locksmith products such as safes, security products and services in both residential and commercial applications. Facebook fans 2,716. Twitter followers 748. About Blog Established in 1982, Power Right has been protecting the homes and businesses of Sligo and the Northwest for over 33 years. Power Right Fire and Security Solutions initially started off as an Electrical Contracting Business back in 1982 which also installed Intruder Alarms Systems. Facebook fans 1,924. Twitter followers n/a. New England About Blog Alarm New England has 44 years of experience providing 27,000 customers with home security systems. Our wireless security system is professionally installed by our in house technicians or you can install it yourself with our DIY home security system. Facebook fans 1,147. Twitter followers 1,114. Denver CO 80214 About Blog Reliable Home Security offers alarm systems for homes and business. We offer cellular-based interactive and remote alarm monitoring. Wireless and hardwired. Our executive team has over 50 years of expertise in the security industry in Colorado. We are focused on providing Colorado customers with the best possible security experience. Facebook fans 718. Twitter followers 392. Houston Texas About Blog Alamo Key & Lock is Houston & all surrounding areas 24/7 emergency locksmith service for auto, residential & commercial locksmith needs. Facebook fans 107. Twitter followers 5. About Blog Alarm Monitoring Service of Atlanta (AMSA) was founded in 1995 to fill the need for a top-notch alarm and monitoring service at a fair price. Today, AMSA provides its residential and commercial clients with the best possible service at the lowest price available. Alarm Monitoring Service of Atlanta's technical personnel average 10 years of industry experience. Facebook fans 578. Twitter followers n/a. About Blog Farsight Security Services are experts in remote monitoring, providing a range of exceptional security services. Ensure your security is always optimised. Established in 1996, Farsight Security Services Ltd. quickly became a market leading, security company. Facebook fans 106. Twitter followers 361. Bloomington, MN About Blog Floyd Total Security is a Minnesota company, specializing in home and business security for over 70 years! We can do everything from locksmith work, burglar alarms, monitored environmental sensors, access control, surveillance and more! We are an authorized Honeywell dealer and a Medeco Security Center. Facebook fans 759. Twitter followers 129. About Blog Brian McMillan is the CEO and Chief Technology Officer with over forty years’ experience in data processing, networking, camera technology, communications, and electronics. In 2010, McMillan formed Insight Commander Systems, Inc. to offer property security to the construction industry for their construction sites. About Blog Founded by Rick and Al Peters, Arpel Security Systems continues its longstanding mission of providing quality residential and commercial security systems in Greater Vancouver and the Lower Mainland area. As one of the oldest security companies in the area, we know firsthand that combining an extensive inventory of security products with a dedicated, responsive team. North Canton, OH About Blog The ProTech Security Advantage is more than 30 years of service in Northeast Ohio and a strong commitment to providing quality, cost-effective protection for homes, businesses, educational institutions and government facilities. Facebook fans 568. Twitter followers 90. Calgary, AB About Blog Improving the safety and security of home owners and business owners since 1985 has been the main focus of what they do and it is what we continue to pride ourselves on. Their expertise in providing trusted custom security solutions and enhancements is what has been keeping our customers not only coming back – but spreading the word as well. Facebook fans 51. Twitter followers 12. Oklahoma City, OK About Blog Our mission at AlarmTransfer is to help families and businesses protect your money, protect what’s valuable and important to you, and to protect the earth by utilizing security monitoring equipment you already own. At AlarmTransfer we believe that protecting your home and family doesn’t need to involve costly contracts and expensive monthly service fees. Facebook fans 377. Twitter followers 61. Chicago, IL About Blog Stealth Security & Home Theatre Systems, Inc is a licensed firm and carries out high quality installation and maintenance of security systems and home theatre systems. With a proven track record we have been serving household, office, commercial property, developmental projects, and municipal areas in Chicago. Facebook fans 505. Twitter followers 334. Albuquerque, NM About Blog For over half a century, Security Source has provided innovative and reliable security solutions for Albuquerque’s homes and businesses. Security Source offers a full line of security related products for both homes and businesses. We also offer sound, video, and home automation systems. See Products for details. Facebook fans 47. Twitter followers 4. About Blog Calgary Alarm is committed to keeping the important things safe. Founded in Calgary in 1990, Calgary Alarm believes in offering premium protection at an affordable price. Calgary Alarm is an Underwriters Laboratory of Canada certified installer of fire and burglary alarm systems and holder of ISO 9001:2008 certification. Toronto, Ontario About Blog DIY Protection started over 13 years ago with the simple philosophy of wanting to protect families across Canada. DIY Protection started over 13 years ago with the simple philosophy of wanting to protect families across Canada. Facebook fans 12. Twitter followers 3. Greensboro, NC About Blog Sentrywatch is an experienced security system provider in North Carolina who can determine which system will be best suited for your home or business. Facebook fans 81. Twitter followers 23. About Blog LivSecure keeps you safe with wireless technology that can’t be disarmed with the snip of a wire or disabled when phone lines go down. Go beyond the alarm and control your home security, lights, temperature and more from your smartphone anytime, anywhere. Facebook fans 3,262. Twitter followers 117. About Blog GHS Interactive Security provides state-of-the-art residential & commercial security systems for homeowners & businesses. With over 100 years of experience in the home security industry, GHS offers the ultimate in home security products and services. Facebook fans 634. Twitter followers 41. About Blog Security Systems of America is a home and commercial security company in Pittsburgh. SSA provides security and video alarm systems for your home or business. About Blog Protection comes in many forms. From motion sensors to cameras to smoke detectors, SleepWell Security provides monitoring packages that will keep your family and home safe, even when you’re not there. We are a Canadian company that takes pride in providing state-of-the-art security systems to our clients. Our team has been in the security and protection business for 15 years. Serving Southeastern Michigan About Blog Vigilante Security provides complete residential, commercial, and industrial alarm services. We are a full-service organization that installs security systems, fire alarm systems, video surveillance systems, access control, life safety systems, and all types of environmental services. Facebook fans 122. Twitter followers 30. Colorado, USA About Blog ProSec Integrations provides video surveillance, security systems, access control & central station monitoring in Denver & Brighton, CO.
Houston, TX About Blog iSmartSafe home security system was founded in Texas on the principles of safety, beauty, and intelligence. They designed and developed the best smartphone-enabled home security and home control system. The sophisticated system utilizes a free and simple smartphone and tablet app to put home security and home control in the palm of its users’ hands. Facebook fans 164. Twitter followers 8. About Blog Johns Brothers Security has been the locals' choice for home security and commercial security,fire, access control and video surveillance since 1974. Local affordable home security systems & smart home technology providers in Hampton Roads & the Outer Banks. Facebook fans 356. Twitter followers n/a. Houston, TX, US, 77060 About Blog Allied Home Security’s partnership with the monitoring station Central Security Group provides over 40 years of industry experience. We are an authorized dealer of Central Security Group and have established ourselves as a leading force in Home Security across Houston, TX. Home Security, Home Automation, Security Cameras, Fire Monitoring, and Medical Monitoring. Hertfordshire, UK About Blog A business security system from Henry Gates provides your business with the protection it needs. CCTV security system will ensure that your business has effective and affordable security. Facebook fans 148. Twitter followers 772. London About Blog YY Security was originally established in 1948. By the late 1980’s early 90’s with the help of new directors YY Security had expanded to a London and nationwide security company, providing a complete residential and commercial service. Get the latest UK security news and expert advice on with the YY Security Installations Blog, including CCTV news, locks news and news about the company. Facebook fans 678. Twitter followers 710. Jacksonville Florida About Blog ESI is a full service security & fire alarm contractor covering NE Florida & SE Georgia since 1979. Installation & service for burglary, fire, closed circuit camera systems (CCTV), card readers, access control, electric gates & intercoms. We are locally owned and operated and have our own UL listed monitoring center. Facebook fans 43. Twitter followers 23. Barrie, Ontario About Blog At CMT Security Systems, we know security is about more than just providing a simple alarm system. We have over 20 years of experience providing home and business owners alike with the security services they need to feel that their property is protected. From access control installation to security camera systems to fence perimeter detection, there isn’t a single security system we can’t help you. Facebook fans 74. Twitter followers 21. About Blog - Regional Security NSW provide Home and Business Security Systems for Wollongong/Illawarra. We are locally owned and operated from our Port Kembla Office. Regional Security’s focus is to provide a high quality security product, combined with professional & friendly service. Seattle, Washington About Blog Guardian is the leading systems integrator in Seattle and throughout Washington state, providing home & business security systems since 1976. Guardian Security is the first choice for security in the Pacific Northwest for public buildings, office buildings, warehouses, homes, schools, hotels and hospitals. Facebook fans 186. Twitter followers 524. Staten Island, NY About Blog Alarmingly Affordable Inc. is a highly technical organization specializing in electronic security systems integration. Our core business is the design, installation, maintenance, monitoring and service of electronic security systems with nearly sixty years of electronic security systems experience. Facebook fans 251. Twitter followers 205. Nationwide About Blog Crimewatch Security offer clients complete security packages – from Intruder Alarms, CCTV, Access Control, Mobile Patrols, Alarm Response, Security Guards, Keyholding, to our very own 24 hour Monitoring Station. Facebook fans 1,917. Twitter followers 485. Calgary, Alberta Canada About Blog Blanco Security provides security services for residential and businesses in Calgary and surrounding areas. Locally owned with over 10 years of experience in the security industry. You can count on us for all your security needs, including the design, installation, maintainance and monitoring of your Blanco Security system. Facebook fans 101. Twitter followers 1. Arlington, TX About Blog Aeon Systems offers quality home and business security and automation solutions. Located in Arlington Texas, we install, service, and provide 24-hour alarm monitoring and home automation at very attractive rates. Facebook fans 244. Twitter followers 113. 84. Ernie’s Lock Company, Inc.
http://www.ernieslock.com/contact/ About Blog Ernie’s Lock Company, Inc. is a full-service locksmith serving customers in Maryland and the DC Metro area. Since 1960, we have been building a reputation for reliable service, transparent pricing and an exceptionally high quality of work. No job is too big or too small — call us whether you need a house key cut or a complete commercial access control system installed in your facility. Frisco, TX About Blog Innovative Home-Automation and Audio-Visual Solutions, LLC (IHAAVS) is a technology-centered, people-driven company, founded in 2013 specializing in low-voltage technologies for the home. We make Security, Surveillance and Networking and Audio-Video and Entertainment Solutions Easy. Facebook fans 196. Twitter followers 13. About Blog Home & Commercial Security, Inc. provides high quality security and alert systems for residential and commercial properties in MA, RI and SE New England. Founded by Henry C. Sidok, Sr., in 1973, the business grew from one installer and one truck, to a thriving company with 30 employees and a 24-hour, seven-day-a-week work base. Facebook fans 266. Twitter followers 12. USA About Blog We’re just an average couple with amazing kids like you that decided one day that we didn’t want to be victims of a burglary or home invasion. We provide unbiased information so that you can decide which equipment best fits your situation. Facebook fans 1,285. Twitter followers 1,197. Nashville, TN About Blog A smart home blog documenting our journey to find the perfect solutions to make our home safer, more organized, and a better place to live. Facebook fans 139. Twitter followers 513. Boston, MA About Blog Blink is the completely wireless home security camera that sends motion-activated alerts & HD video to your smartphone. Blink,the world’s one-of-a-kind, battery-powered HD video camera and motion detector that makes home monitoring easy and affordable for renters and homeowners. Facebook fans 54,427. Twitter followers 4,089. Buffalo, NY About Blog Powered Protection Inc. provides security systems, fire alarm systems, surveillance systems, and access control systems. 24 Hour monitoring service of your security system and fire alarm system. Fire inspections and service on security systems, fire alarm systems, surveillance systems, and access control systems. Facebook fans 1,255. Twitter followers 208. United States About Blog Covert Security bridges the gap by offering the services that you want. With a background in the exciting technology of Audio Video integration down to the necessity of Security, Covert Security Services listens to your needs to help design a beautiful layout to enhance your home. Facebook fans 1,714. Twitter followers 13,622. New Castle, IN About Blog ASI is Indiana's premiere low-voltage systems integration and security company. We've been providing custom security, access control, fire alarm, video surveillance, structured wiring, and more to homes and businesses for nearly two decades. Ron Anderson founded ASI in 1992 in New Castle, Indiana. Facebook fans 492. Twitter followers 779. Myrtle Beach, SC About Blog Strand Security, Residential & Commercial Security Alarm Systems Company. Strand Security is an owner operated business, fully licensed & insured in Maryland and South Carolina! Strand Security offers over 20 years of experience in home & business security alarm consultation, installation, 24/7 UL approved monitoring and service. Facebook fans 592. Twitter followers 590. Wilmington, DE About Blog Security Instrument brings cutting edge security systems integration to protect your enterprise throughout Delaware & the Tri-State region. Security Instrument is Delaware's largest full-service independently-owned security firm with over 75 employees serving thousands of customers throughout Delaware, Pennsylvania, New Jersey and Maryland. Facebook fans 865. Twitter followers 35. Huddersfield, England About Blog Reliable Locks&Window are a qualified, well-established local locksmith, new and replacement window & Door company working throughout West Yorkshire. We are here to help you by providing a professional locksmith, window and door maintenance service, Replacement UPVC Windows and doors or Composite doors – backed with a quality guarantee. Facebook fans 128. Twitter followers 759. 1400 W. Main St. Waxahachie Tx About Blog BAT Security a full service residential and small business security and interactive services company. Our services include residential and small business sales, installation, 24/7 security monitoring and interactive services (phone/tablet control of cameras, door locks, garage doors, light switches, thermostats, video doorbells, and more). Facebook fans 643. Twitter followers 8. Sanford, FL About Blog Strada Security offers the best wireless technology for security systems and monitoring solutions. With our wireless signaling we provide complete protection, even if the phone or internet line is cut, power goes out or the control panel is damaged. Facebook fans 276. Twitter followers 10. About Blog Remote Security Services offers a wide variety of products designed for homeowner and residential markets, including smart alarms and CCTV. Facebook fans 67. Twitter followers 220. Lebanon, NH About Blog Tasco Security has been committed to providing state-of-the-art integrated systems since 1968. With the understanding of client needs and industry technologies, Tasco is able to provide an unparalleled knowledge of security equipment, professional installation, and security services to the client who deserves the best in protection technologies. Facebook fans 63. Twitter followers 98. Guildford, South East England About Blog pecialist Complete Security Systems Ltd are an SSAIB recognized company that specializes in the design, installation and on-going maintenance of electronic security systems. Installer and maintainer of electronic security systems, including CCTV, Access Control, and Intruder detection. Facebook fans 2. Twitter followers 97. About Blog Home security installation company of Pembroke MA. Serving Boston, South Shore & North Shore. We install the latest Honeywell security panels and camera. About Blog At Coles Security Systems, we will build a security system at a cost that won’t break the bank. We feature only the best in home security products and technology. We deliver and install quality security systems for your home or commercial premises and offer unbeatable service. About Blog Home security is an important part of every family in Adelaide. We believe in safety first and by getting your home secured, you can ensure safety. About Blog There a many choices for home security but when it comes to protecting your home and possessions you need the most dependable security provider available. ADT has been protecting people’s homes for over a hundred years and is known as the top home security provider in North America. You can trust that ADT is taking care of your home with 24/7 alarm monitoring and state of the art equipment. Facebook fans 5. Twitter followers 1. About Blog Assured Security Solutions is a local company you can trust in Southend. Protect your family with our CCTV, Alarms and System Maintenance packages from Assured Security Solutions. About Blog A good security system is like an insurance policy. We’ll help you find the perfect home security system for keeping your family safe. 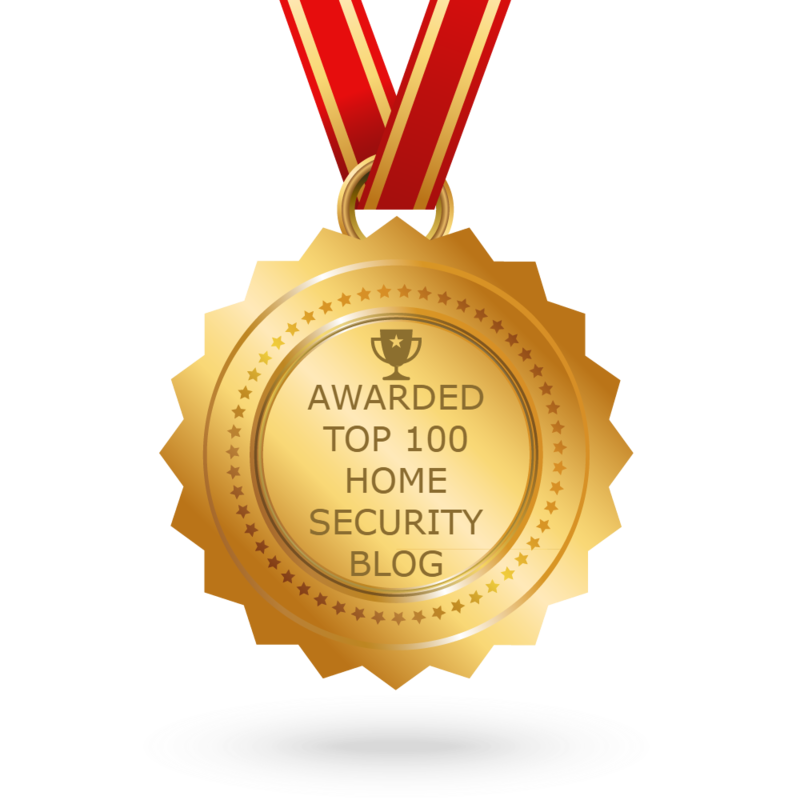 CONGRATULATIONS to every blogger that has made this Top Home Security Blogs list! This is the most comprehensive list of best Home Security blogs on the internet and I’m honoured to have you as part of this! I personally give you a high-five and want to thank you for your contribution to this world.